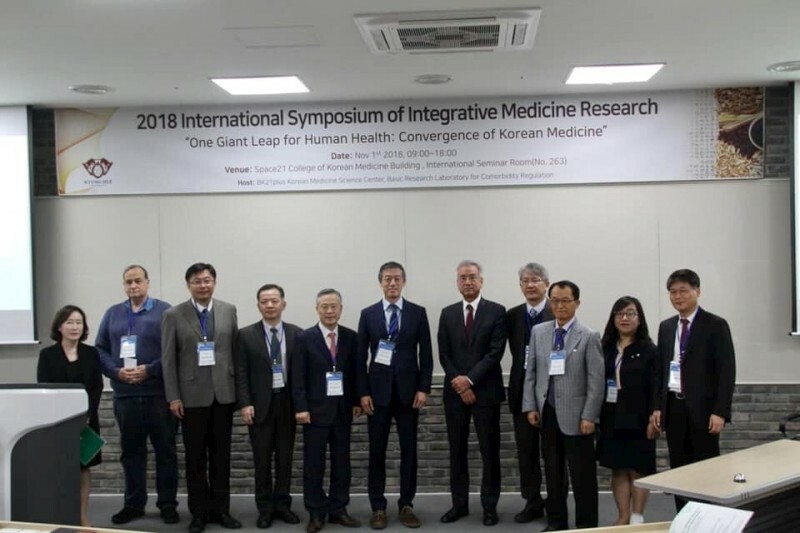 CMU Professor Hung-Rong Yen was Invited to the “2018 International Symposium of Integrative Medicine Research” and the “7th Joint Symposium of WHO Collaboration Center for Traditional Medicine"
Doctor Hung-Rong Yen, the chairman of CMU Research Center for Chinese Herbal Medicine and associate dean of College of Chinese Medicine, was invited to two symposiums in Seoul, Korea: the “2018 International Symposium of Integrative Medicine Research”, and the “7th Joint Symposium of WHO Collaboration Center for Traditional Medicine in Japan and Korea”. In the 2018 International Symposium of Integrative Medicine Research, Doctor Yen delivered a speech on the topic of Taiwan’s integrated complementary treatment of Chinese medicine in cancer. In Taiwan, 13% of the cancer treatments in adult patients adopted integrated treatment. The death risk of these patients are 31% lower than the patients with western medicine treatment only. A clinical experiment on “Tangkuei Four Plus Combination” (聖愈湯) discovered the function of bone marrow immune reconstitution after leukemia hematopoietic stem cell transplantation. The results has been published in the international scientific journal “Integrative Cancer Therapies”. Dr. Keith Block, a professor at University of Illinois at Chicago, is the chief editor of the journal. Other invited speakers to the symposium include Chairman Gary Deng from the Integrative Medicine Center of Memorial Sloan Kettering Cancer Center, Professor Yoshiharu Motoo from Kanazawa Medical University, Professor Zhao-Xiang Bian from Hong Kong Baptist University, Professor Leo E. Otterbein from Harvard Medical School, etc. Dr. 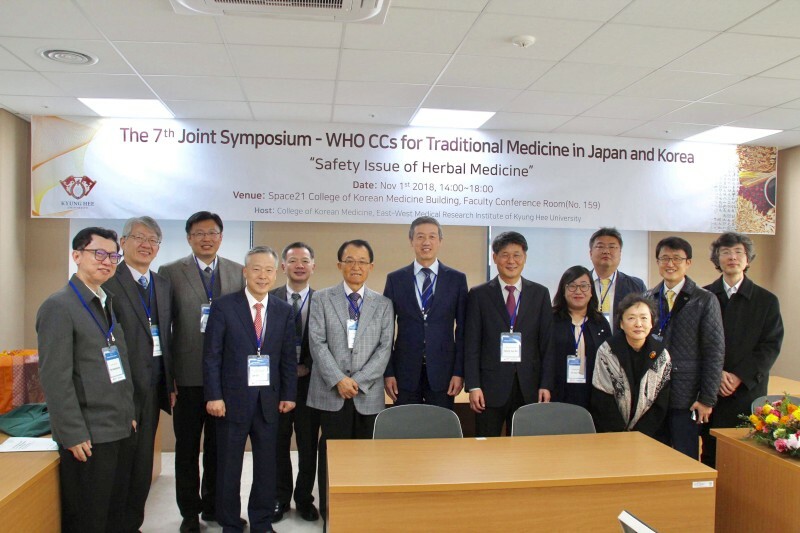 Yen also attended the “7th Joint Symposium of WHO Collaboration Center for Traditional Medicine”. There are 20 traditional medicine cooperation established by WHO around the world. In this year’s symposium, scholars from four centers of Korea and Japan, and from one newly founded center of Thailand participated. The symposium focused on the “Safety Issue of Herbal Medicine”. 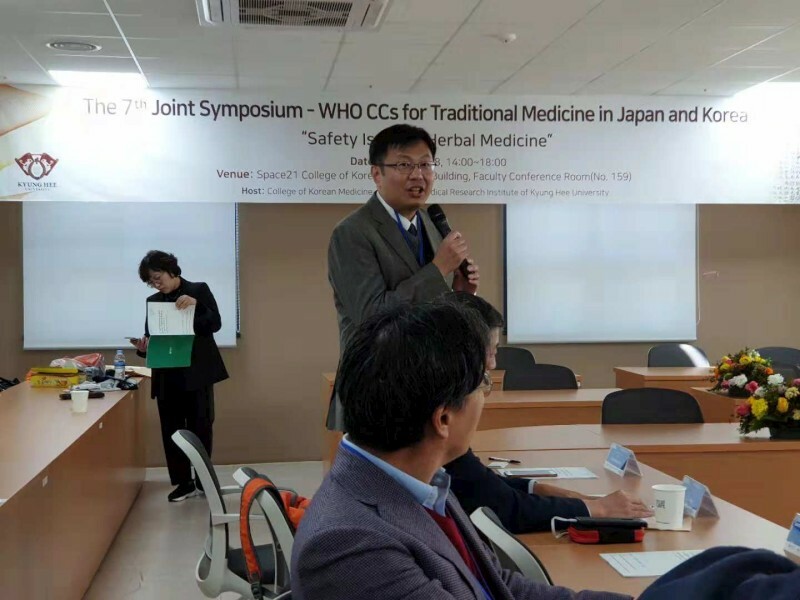 In the beginning, the technical director of the WHO Western Pacific Regional Office, Yu-Lee Park, delivered a speech about “Quality and Safety of Herbs in the Western Pacific Region”. During the meeting, Doctor Yen introduced himself to experts from various countries. He also introduced to the attendees the achievement on Chinese medicine quality control platform that done by CMU Research Center for Chinese Herbal Medicine, which has set a good example for the world. Scholars from different countries discussed their opinions and suggestions about the safety of traditional herbs. WHO will also include this issue and the advices from the experts in their next meeting of traditional medicine cooperation center in western pacific region, and to further discuss about how to establish an international standard. Under the lead of Chancellor Wen-Hwa Lee and Vice president Lu-Hai Wang, CMU Research Center for Chinese Herbal Medicine has been receiving the funding from the Ministry of Education. CMU College of Chinese Medicine is developing prosperously with the lead of dean Mao-Feng Sun. Doctor Yen’s participation in these symposium helped enhancing China Medical University and Taiwan’s world reputation, it also showed that Taiwan’s Chinese medicine research has received international recognition.